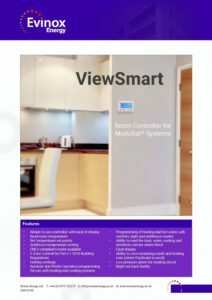 Our ModuSat® heat interface units are best supplied with the ViewSmart Room Controller to enable full system functionality. The ViewSmart Room Controller is also available as a Smart Energy Display Device. This model is capable of displaying all of the information required by the Code for Sustainable Homes to gain the maximum 2 credits. 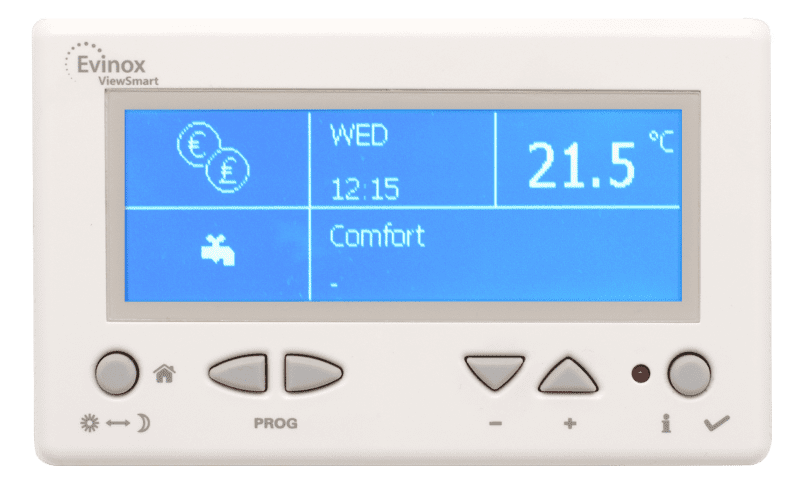 When installed in the home, the ViewSmart ENE3 energy display device provides energy metering for communal and district heating systems with ModuSat HIU’s. 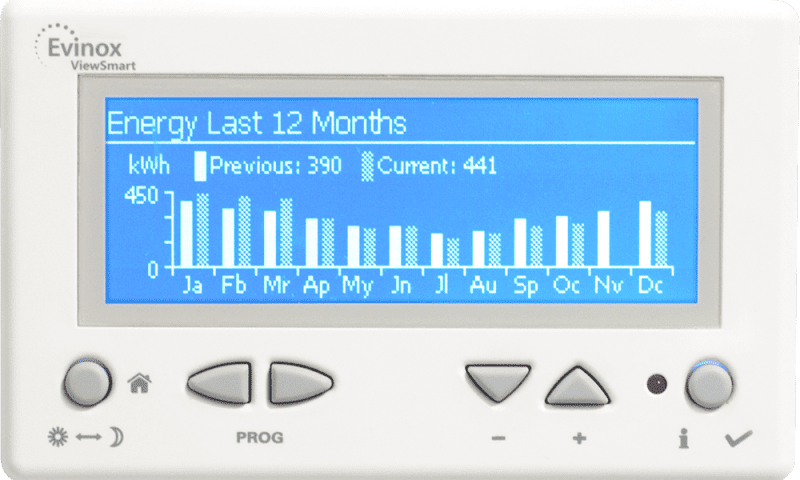 Smart Meter devices are designed to promote the use of equipment that displays energy consumption data, therefore empowering residents to reduce their energy use. Simple to use controller with back lit display. ENE3 compliant model available to provide credits towards the Code for Sustainable Homes. 2-Zone Control for Part L1 2010 Building Regulations. Summer and Winter Operation programming for use with heating and cooling systems. Ability to view credit and heating cost (where PaySmart is used). 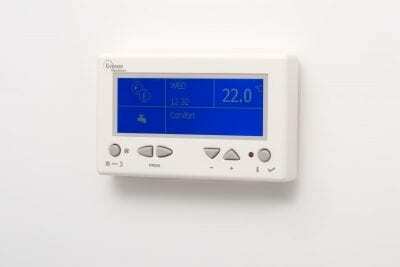 Programming of heating and hot water, with comfort, night and antifreeze modes. Ability to read the heat, water, cooling and electricity meters where fitted. Low pressure alarm for heating circuit. Find out more about our Communal Heating Solutions and range of heat interface units by visiting the ModuSat® page.